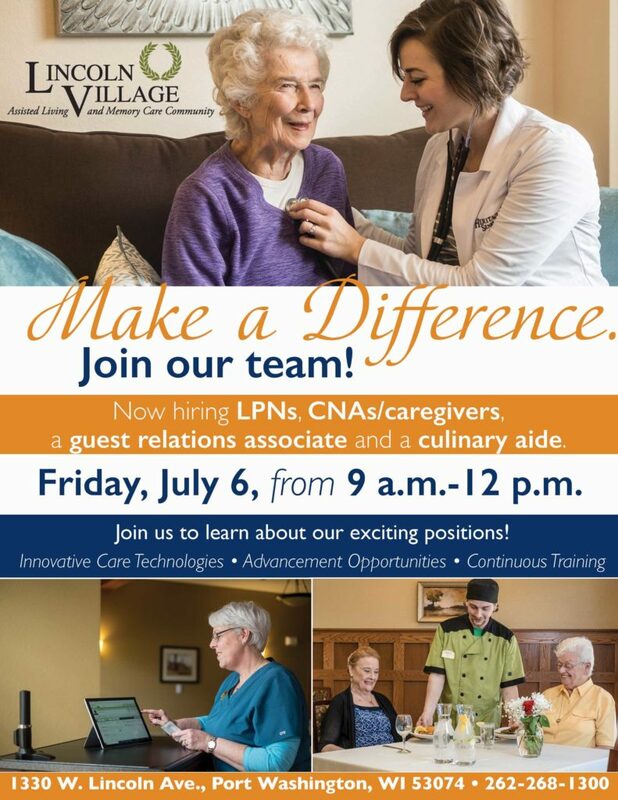 Find your new career at Lincoln Village! We’re holding a career discovery fair on July 6 from 9 a.m.- 12 p.m. Learn about our exciting positions! We utilize innovative care technologies and offer advancement opportunities, continuous training and competitive wages. We’re currently looking for LPNS, caregivers/CNAs, a guest relations associate and a culinary aide! Call 262-268-1300 to learn more! 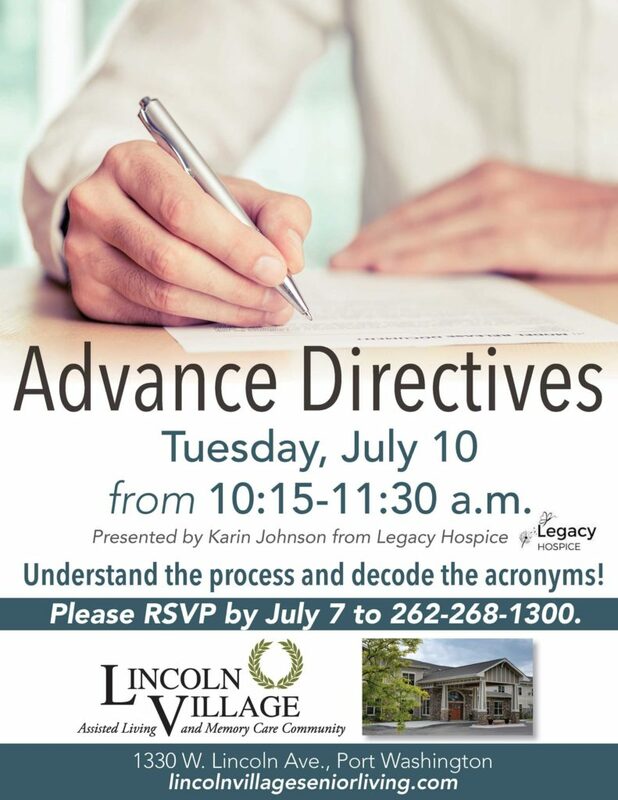 Join us for a presentation from Legacy Hospice on advance directives on Tuesday, July 10. Understand the process and learn to decode the acronyms. Please RSVP by July 7 to 262-268-1300. 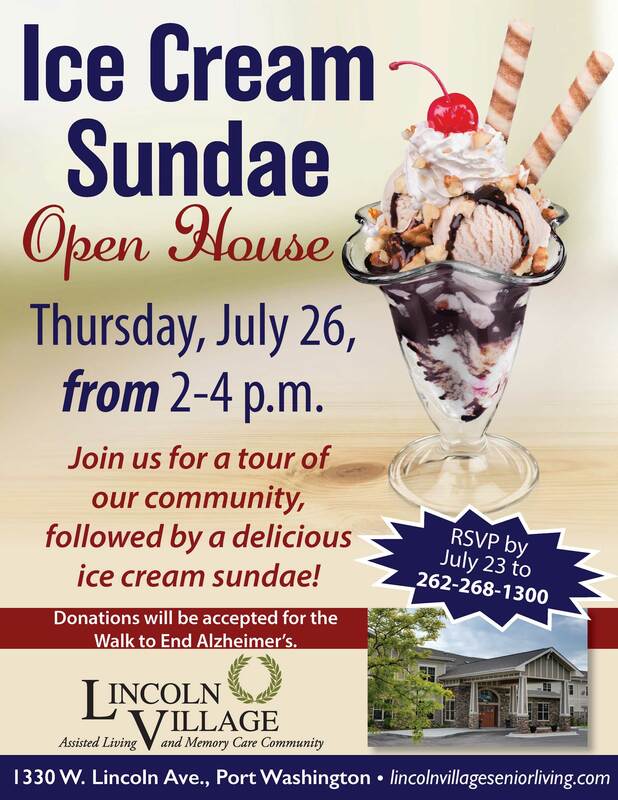 Join us for a tour of our community, followed by a delicious ice cream sundae. Plus, take the opportunity to donate to this year’s Walk to End Alzheimer’s.